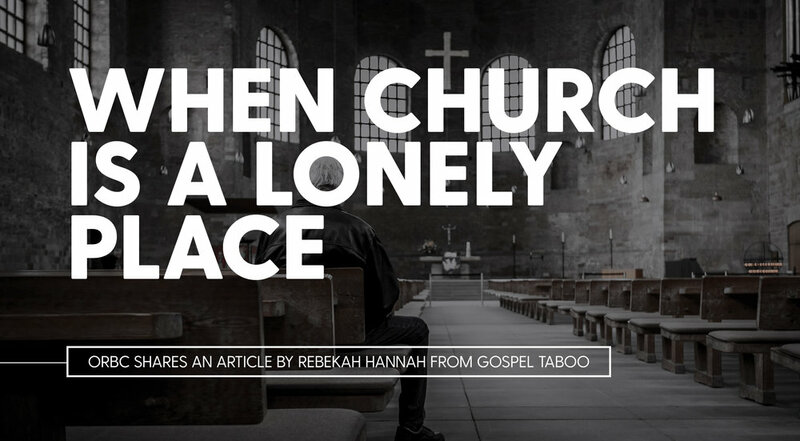 "Feeling lonely in the church is likened to feeling lonely within a marriage. It’s the one place where people should be welcomed, known and loved. However, sin reaches even into the depths of the family of God here on earth, and produces isolating experiences. One thing that every church has in common is that there are always people who feel alone sitting in the pews. Truth be told, there are two sides to this story: those who are lonely and those who are comfortable."